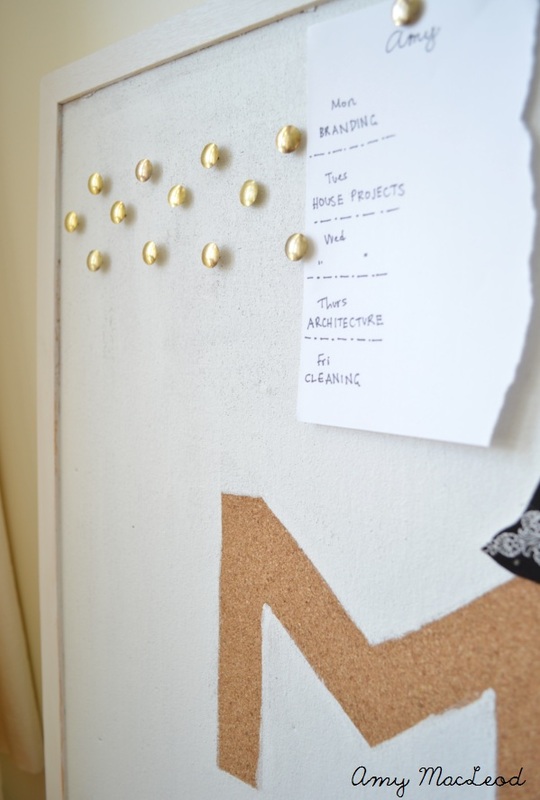 Do you have a generic brown cork pinboard that's an eyesore on your wall? (Or are you not as fussy as me?). I bought one recently for our office redo, but the dark colour of it just wasn't working. (This room is pretty small - the new paint and curtains have done miracles at lightening the space up, but anything dark on the wall doesn't help). 1. It's imperfect. I painted everywhere except the space inside of the 'M'. But I didn't tape it off (obviously) as it just happened under my paintbrush, freehand. If I had known that's what my hand was going to do, well, then I might have tried using a template or pencilling it in first..... luckily it happens that the messy look it just part of the charm of this office. That's what I'm calling it. 2. Speaking of that charm... there is a lot going on in this room. It is so swollen with artistic supplies that it's evolving into more of a colourful art studio, rather than the sleek-chic look I originally hoped for. But actually, I'm really liking how it's taken on its own personality! 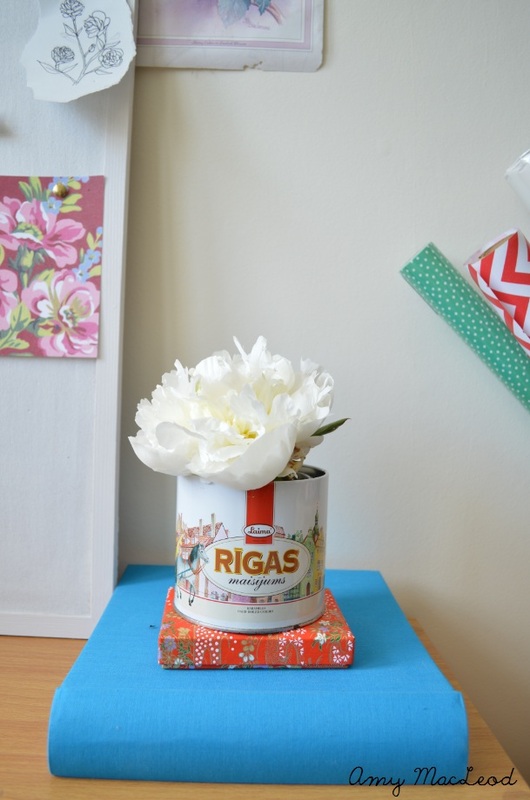 Kinda loving this colour combo, and the lovely peony with a few mementos from overseas. Oh yeah, and an ant photo-bombed my shot. Can you see it? 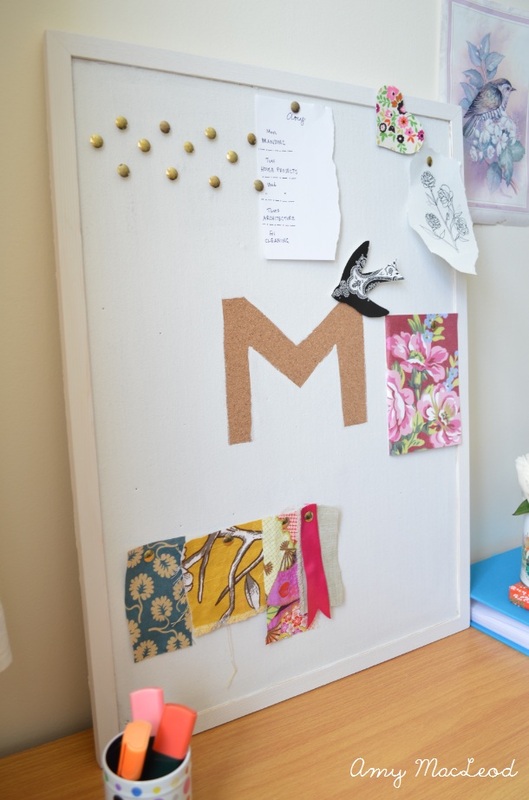 I have seen so many cool pinboard ideas around and have to admit this is more simple than most. 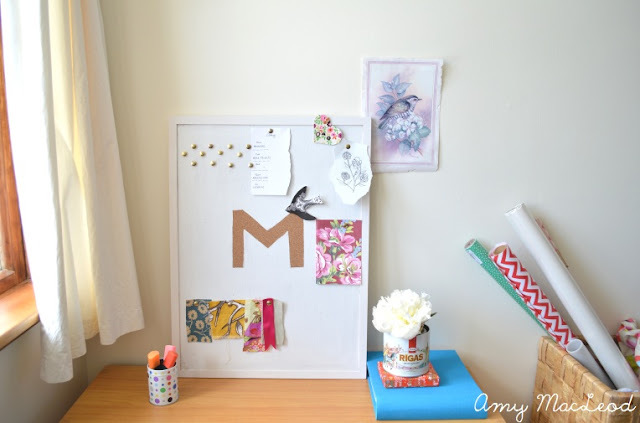 Have you revamped a pinboard before? Can't wait for the reveal. I believe in the beauty of imperfection and that cork board turned out lovely!